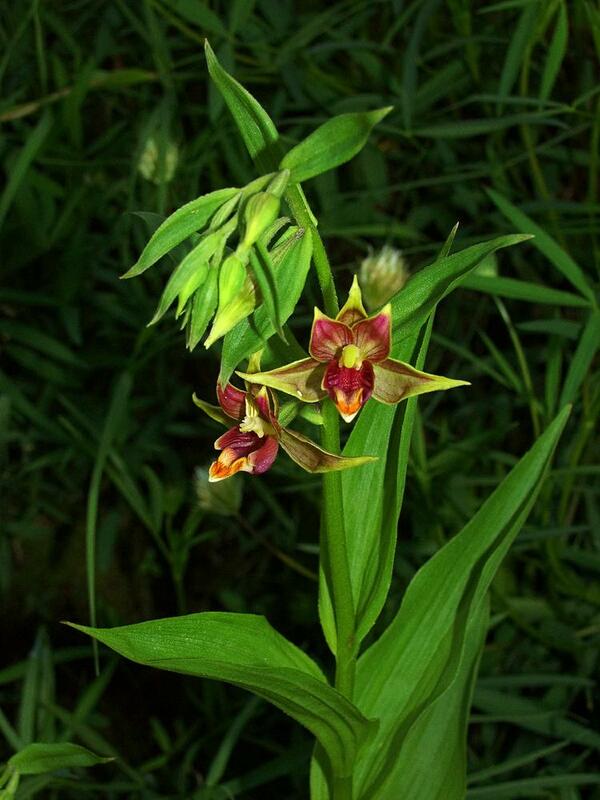 Epipactis gigantea, commonly known as the Stream Orchid or Chatterbox, is distributed from British Columbia south to Arizona into Mexico, and east to Texas. 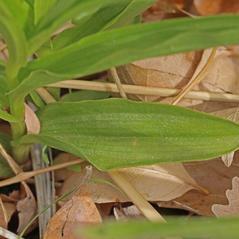 This orchid typically has 4-12 leaves in an alternate arrangement on the stem. 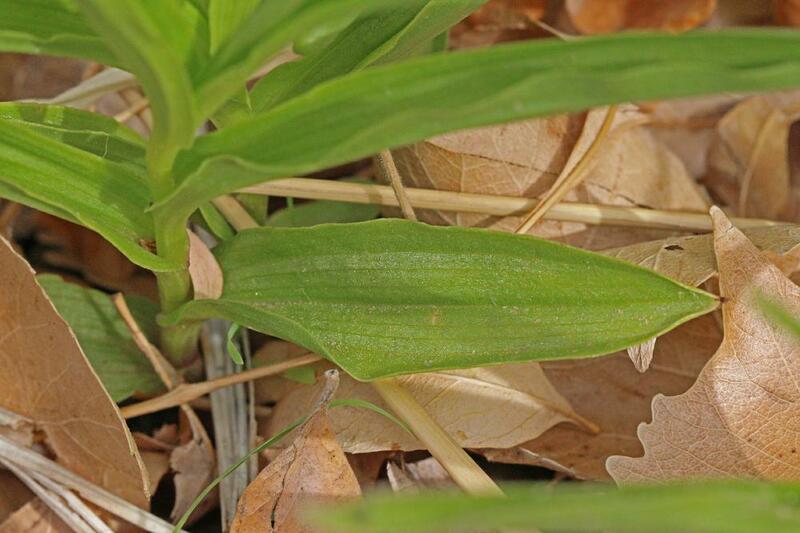 It bears an inflorescence of 5-25 green to yellow flowers striped with purple veins on a loose raceme. The lip is distinctly lobed with bright yellow, purple, and orange markings. It blooms throughout the summer and can start flowering as early as March. 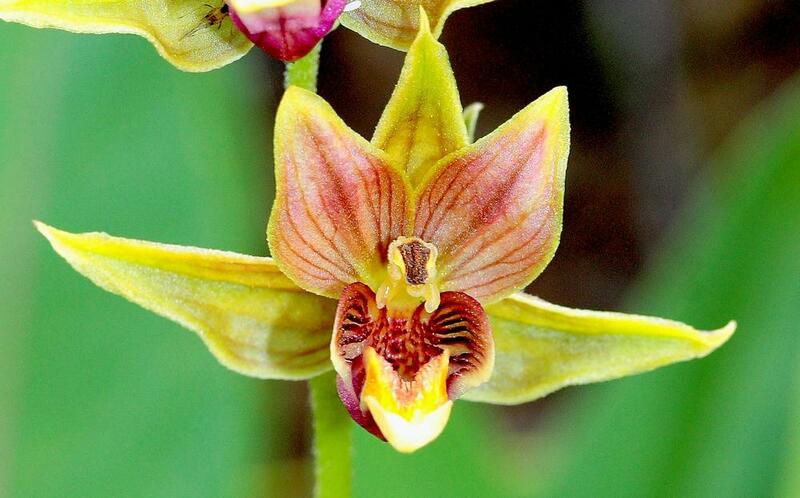 This orchid favors the shoreline of streams, lakes, seeps, and the sandy soil of marshes and riparian areas. 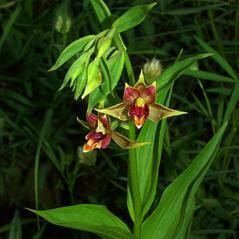 Epipactis gigantea is considered globally secure, although it may be rare and localized in its wide distribution across North America. Pollinators for this orchid include syrphid flies such as Dasysyrphus creper, Eupeodes americanus, Eupeodes luniger, Platycheirus immarginatus and most frequently Sphaerophoria philanthus. These flies normally lay their eggs among aphids on which the fly larvae feed. The orchid attracts these flies by producing a fragrance that mimics the smell of honeydew, the sweet liquid excreted by aphids. 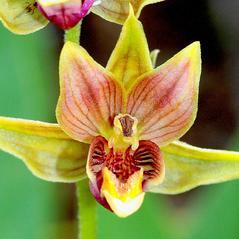 This fragrance and the bumpy surface on the orchid’s lip, convince the fly it has found a nest of aphids. The fly enters the flower to lay its eggs and any pollen on the fly’s back is scraped off. A new load of pollen is transferred to the fly as it backs out of the flower. Other pollinators include Copestylum satur and Vespula vulgaris.